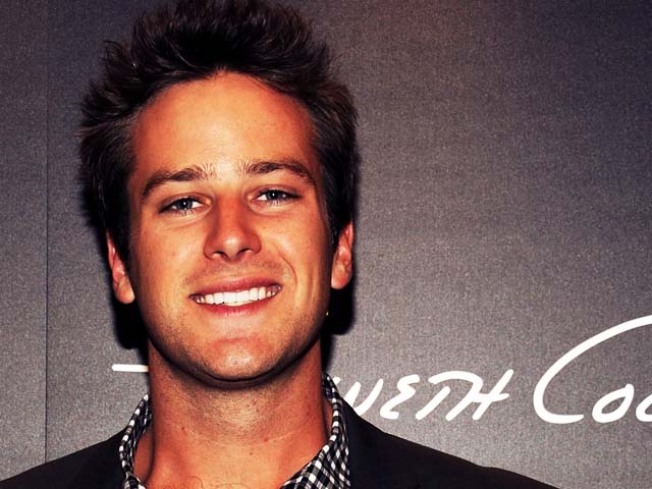 Armie Hammer On Playing Leo's On-Screen Love Interest: "I Haven't Signed Anything Yet"
It takes a lot to feel bad for a strapping, 6'5" scion of a petroleum fortune, but this might just do it. The guy has come so close…SO CLOSE…to superstardom he can taste it, and yet he once again has to go back to the bench to wait for the next stoppage of play before he can enter the game. Consider his first two TV gigs. A single episode of the criminally euthanized "Arrested Development" followed by, yep, one measly episode of the fan-favorite-but-also-axed "Veronica Mars." Hell, the five episode stint he did of the short-lived CW series "Reaper" was starting to look like a career watermark. But then it happened. He got something BIG. How big? How about Batman big? The single coolest superhero of all time, and Hammer was going to play him. The project was George "Mad Max" Miller's "Justice League" - which would have beaten Marvel's superhero all-star team The Avengers to theaters by almost 4 years. Hammer even got far enough to try on the actual batsuit. Before he could growl a single perp-weakening threat, however, the project fell to pieces. No cowl for the Hammer. Hammer was OK, though, because "Charlie's Angels" director McG was planning a reboot of "Superman" and he had two guys on his short list to play the Man of Steel. Hammer was, yes, one of them. Unfortunately, that project also fell apart, giving way to director Bryan Singer's "Superman Returns" starring dark horse candidate Brandon Routh. The other guy McG had on his list? Oh, just some dude named Henry Cavill who is, yes, NOW PLAYING SUPERMAN. Armie was able to salve his wounded pride a little when he scored a role in David Fincher's prestige project "The Social Network." Playing both Cameron and Tyler Winklevoss - the real life Harvard twins who claimed Facebook was their idea - Hammer only ended up, tragically, upstaging himself. By the end of the day, while co-stars Jesse Eisenberg and Andrew Garfield were getting the acting laurels, everyone kept asking Hammer about the technical aspects of his role like he was Andy Serkis. Adding insult to injury? Garfield leapt from "Social Network" to "Spider-Man." Curses! Then a glimmer of hope: Hammer was going to get his franchise. His marquee character. His action figure. He was going to play The Lone Ranger. Suddenly, he learned that Jerry "Blow Up All The Things" Bruckheimer was producing, and that Johnny Depp was going to play his Tonto. There is no way…NO WAY….a project with that kind of money and prestige behind it, not to mention the instant iconic mass appeal, could be anything less than a sure thing. Whoops. Disney has just announced that it is pulling the plug on "Lone Ranger," citing its ballooning budget. Back to the drawing board.